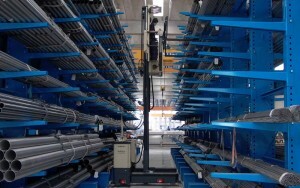 The model MU-OP one-man order picking system is used for the order picking of long loads. 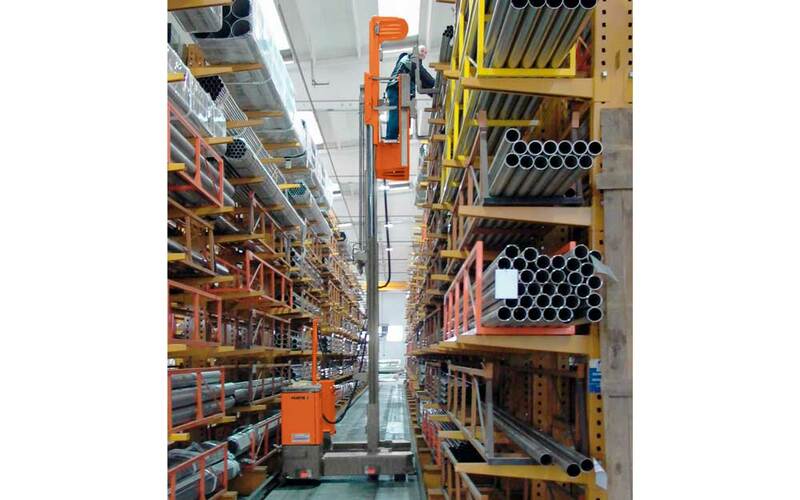 It is especially designed for aluminum, plastic or steel profiles in narrow aisle operation. 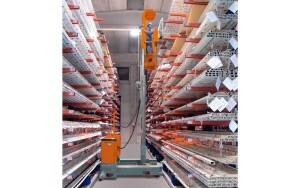 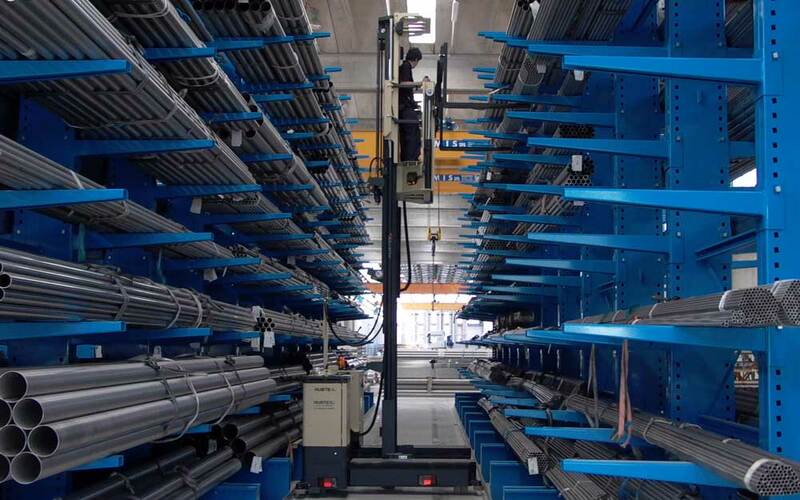 With this order picking truck, product can be taken out of the rack from one side of the aisle quickly & safely. 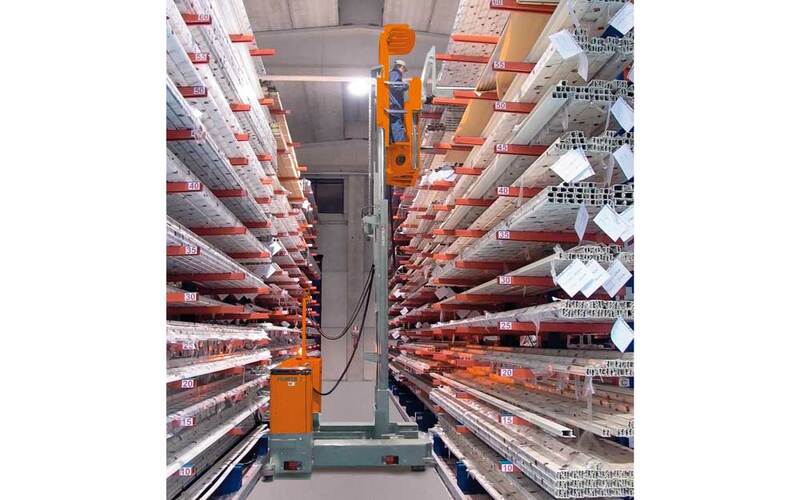 The model is available as a classic Electric Multidirectional Sideloader for placing complete packs in storage, and as version with a man up cabin for picking applications with regard to individual customer orders.